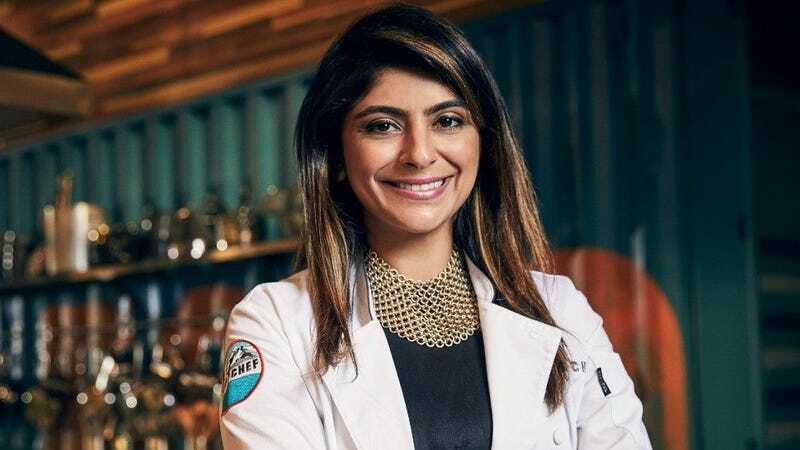 Fatima Ali, the New York City chef and contestant on Bravo’s Top Chef, has died. Ali’s family confirmed the news via the Pakistani paper Dawn. She died after a struggle with Ewing’s sarcoma, a rare type of bone cancer. She was 29. Ali was diagnosed in 2017, shortly after her Top Chef tenure. She was declared cancer-free in early 2018, but the disease returned this past September. Earlier this month, the chefs from her season flew in from all over the country to visit Ali after reports that her health was worsening. An incredibly bright chef with a sweet, infectious personality, Ali emerged as one of the series’ most memorable talents, going on to win the “fan favorite” designation for her season. She began her career at New York City restaurants like Stella 34 Trattoria and La Fonda Del Sol, and also had a Smorgasburg food vendor in which she threw her own spin on the food of her Pakistani hometown. Elsewhere, her colleagues and friends offered their own tributes. See a few of them below.